You went to school on the West Coast and your parents live in Florida. Your partner went to school on the East Coast, grew up in Texas and his parents reside in Michigan and Washington DC. You both live in Seattle. Sound familiar? This is the common dilemma of today’s couples and a major reason why bigger weddings are the new norm, frequently becoming destination events rather than happening in traditional hometown settings. Modern day weddings have evolved in the last decade and often merge unwittingly with reunions. They are the excuse everyone has been seeking to get family together, to spend time with great friends and to generally have a fun time while of course celebrating a marriage. Just like weddings, rehearsal dinners too have been redefined. Rehearsal trends today tend to be much more relaxed, fun and sometimes include a few of the guests invited to the wedding – especially if someone is coming from out of town. Like the traditional events of yesteryear, they bring both families together and allow everyone to really get to know each other, as well as having a huge catch up, before the wedding itself. GUEST COUNT: This will drive everything else. A good rule of thumb is that 20% of those invited will send regrets even if you send out “Save the Date” cards months in advance. Really! BUDGET: Knowing what you have and where it’s coming from will help plan the night. Traditionally rehearsal dinners were the responsibility of the groom’s parents but today there is no set rule. PARENT INVOLVEMENT: Talk to them about your ideas so that they feel part of the event, particularly if they are contributing in some way. If you have a venue in mind, invite them to visit with you. YOUR WAY, YOUR STYLE: More than ever, couples are hosting rehearsal events that are very personal and in complete contrast to the wedding celebration. Themed events are not only fun but are often chosen because they embrace a particular aspect of the couple’s life. Table or room decor can evolve around the theme too as well as food and beverages. For example: A couple meets in Mexico and uses this ‘mark in the sand’ for their rehearsal theme. Think piñatas, margaritas, Mexican beer, Salsa, dips, tacos, Mexican flags and of course Mariachi music. 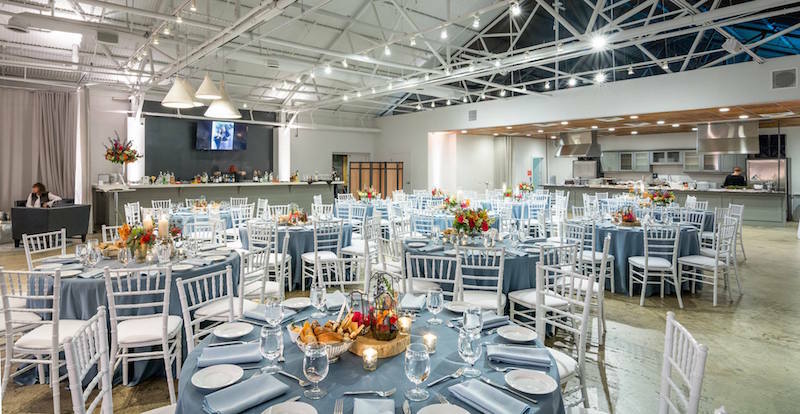 YOUR WAY, YOUR STYLE II: If the concept of a theme seems too much, look for a venue with character that instantly provides an ambience and talking point. Think historic ballrooms with beautiful chandeliers, or sleek with Hollywood glam. There’s also distilleries and Tuscan, rustic or industrial venues in feel! Regardless of the decision, chat with your wedding planner – they’ve plenty of experience to draw on. MERGING FRIENDS AND FAMILIES: Sharing your life histories with your guests has become a popular and much enjoyed part of rehearsal events. If you decide to do a photo or video slide show, or even a simple collage of photographs of the two of you over the years, remember that this will take time to put together. Equally if your guest count is large, you will need to consider audio-visual equipment so that everyone can see and enjoy. A small item but if a guest didn’t get to see or hear, you may never hear the end of it.